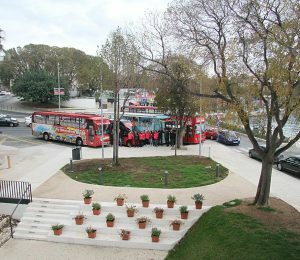 Blue Lagoon tour from Split is a perfect half day tour to spice up your vacation in Split. 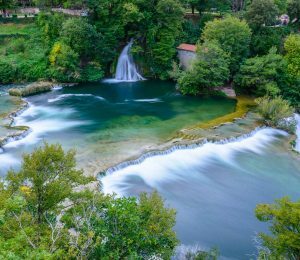 Blue Lagoon is situated between three small islands located only about 30 minutes speedboat ride from Split, making it the perfect choice to experience the ultimate swimming and snorkeling location. After we spend time enjoying in the crystal clear turquoise sea of the lagoon we head towards nearby picturesque town of Trogir. 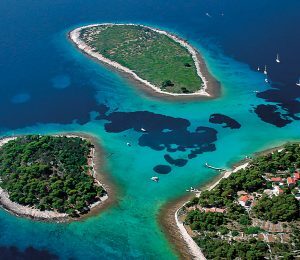 On this full day island hopping tour from Split you will explore the most interesting locations on the nearby islands. 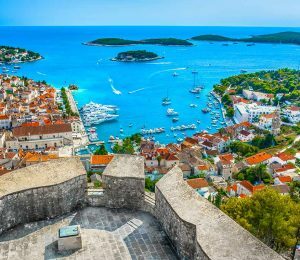 Take an advantage of 2 hours free time in Hvar town to discover all its famous sights. From Hvar we will continue to adjacent Pakleni islands archipelago where you will have free time for swimming and relaxing in the peaceful bay of the archipelago. Solta island will be a stop to try the local cuisine before we head towards the Blue Lagoon, swimming and snorkeling paradise. We conclude the tour with visit to historic town of Trogir for an afternoon sightseeing.